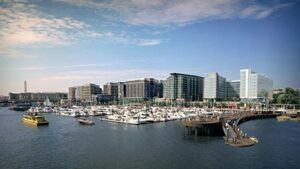 The Wharf is a mixed-use project spanning several blocks along the Southwest Waterfront and includes office, residential, retail, hotel and cultural uses along with theatre. 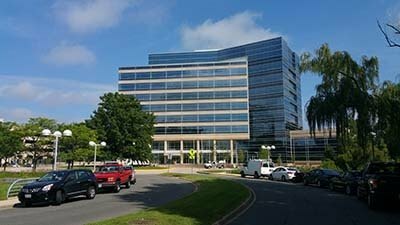 Gorove/Slade guided the development team through complex transportation issues beginning with the initial planning stages and continuing through the creation of a master plan and the approval of the first phase of construction. For The Wharf to be successful it needed to connect to the excellent multimodal transportation options the District has to offer, including bicycle trails, Capitol BikeShare, bus and rail transit options, and pedestrian facilities and walking routes. Gorove/Slade aided the design team in incorporating many modern features in the design, such as a cycle track along Maine Avenue, curb extensions, potential streetcar stations, shared streets and alleyways, and a central, shared parking structure. Through careful planning and accommodation of all modes, the project’s design intent of intimate spaces mixed with grand public parks and amenities can be achieved, instead of having to dedicate land area to parking and internal roads. In addition to aiding the design team, Gorove/Slade prepared the technical documentation needed to gain approvals for the project. This includes the preparation of transportation impact studies for the overall Master Plan and for the first phase of construction. In addition, Gorove/Slade assembled documentation on shared streets, loading and curbside management, and an events management plan for the proposed theatre. Throughout the project, Gorove/Slade interacted with the District Department of Transportation to make sure their concerns were being addressed and coordinate their positive review of the technical analyses. The analysis and documentation produced included a significant amount of work on transit service to the site. Gorove/Slade helped the team identify future potential service to The Wharf, such as the planned Convention Center/SW Waterfront route, and helped identify where stops can be planned along Maine Avenue. Gorove/Slade also helped the urban designers and landscape architects on the team design Maine Avenue including bus stop placement and amenities. This effort included helping design a street frontage with a wide sidewalk area, curb extensions and a two-way cycle track in a manner that minimized conflicts with transit riders and the planned bus stop location.